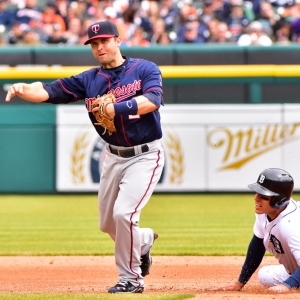 The Cleveland Indians take on the Minnesota Twins on Friday at Target Field in Minneapolis. The Indians are 4-0 in their last 4 road games vs. a right-handed starter and 4-1 in their last 5 road games. They are 17-7 in Kluber's last 24 starts following a Quality Start in his last appearance and 35-17 in Kluber's last 52 starts. The under is 4-0 in the Indians last 4 games following an off day and 4-1-1 in their last 6 games vs. a team with a winning % below .400. The Twins are 18-41 in their last 59 during game 1 of a series and 36-90 in their last 126 games vs. a starter with a WHIP less than 1.15. They are 1-4 in Pelfrey's last 5 starts vs. a team with a losing record and 2-9 in Pelfrey's last 11 starts on grass. The over is 9-2-1 in the Twins last 12 home games vs. a right-handed starter and 20-5-1 in their last 26 home games. Head-to-head, the over is 4-1 in the last 5 meetings. The Indians are 4-1 in the last 5 meetings and 11-4 in the last 15 meetings in Minnesota.